Silicone is highly robust in everyday use, durable and easy to clean. This is why prosthesis wearers value the material as the basis for the liner to cover their residual limb. With the Skeo family, we have developed a series of liners that are not only comfortable to wear and skin-friendly, but also ensure the best possible hold of the residual limb in the prosthetic socket in combination with our closure and pull-in systems. Especially for transtibial amputees, we offer the anatomical 6Y77 Skeo 3D liner with different wall thicknesses. Fabricated based on the anatomical model of the lower leg, it not only cushions sensitive areas on the residual limb but also provides greater freedom to bend the knee since their is less material in the hollow of the knee. 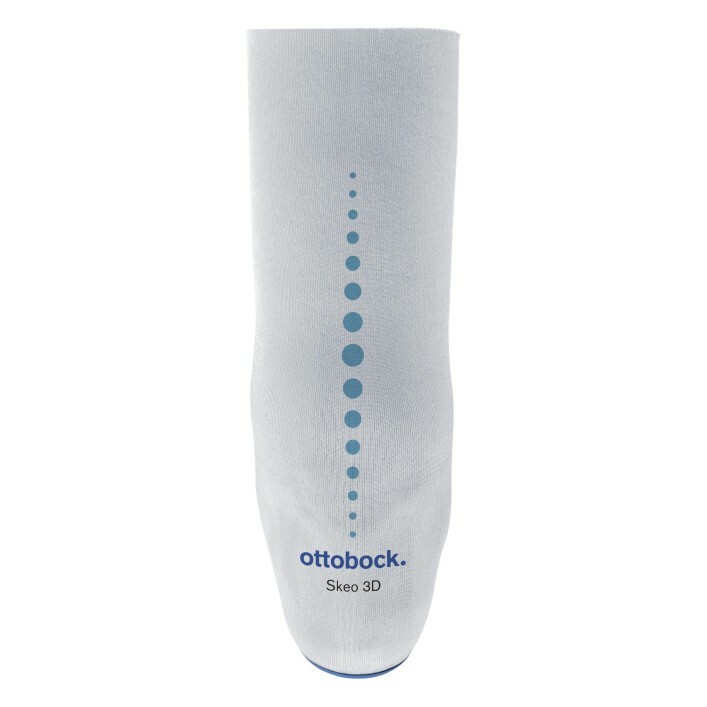 For transfemoral amputees who usually have good soft tissue coverage, the Skeo 3D6Y87 is an innovative thigh liner that encompasses the residual limb, effectively supporting it. Your orthopaedic technician will be happy to advise you regarding the right closure system and your personal requirements.